On Friday 10th November 2017 a very special event took place. 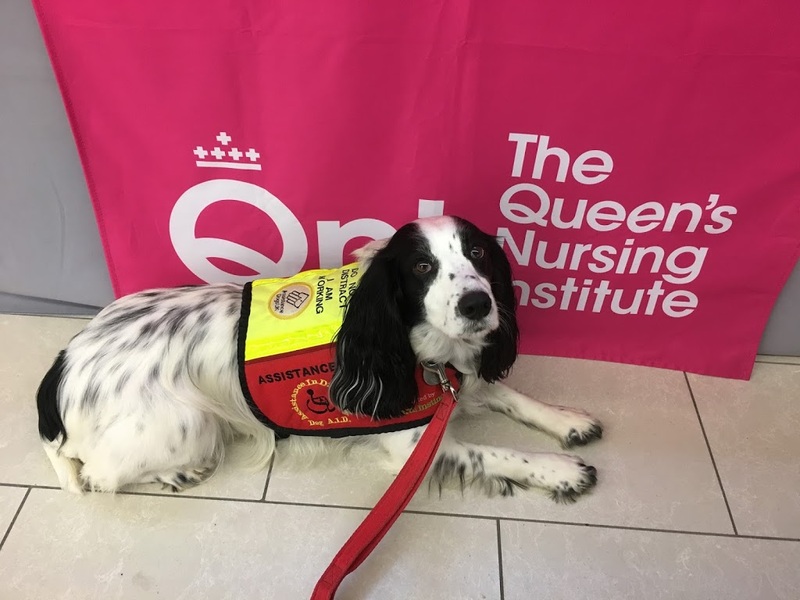 Hosted by the Queen’s Nursing Institute (QNI) with support from the Burdett Trust, the QNI Transition of Care Conference was a great success. 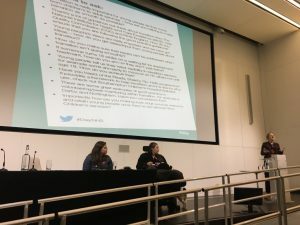 It brought together nurses, healthcare professionals and young people for a day full of presentations, shared learning, engagement, poster sessions and networking. 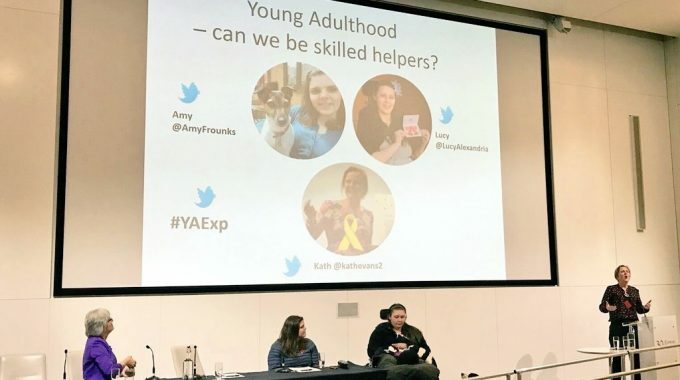 Kath Evans, Head of Patient Experience at NHS England invited me to come to the Transition of Care Conference and participate in her presentation along with another young person, Amy Frounks (NHS Youth Forum alumni, Young CDC member and young advisor to Common Room and their #CYPMeFirst communication tools and workshops) – whom I’ve known online for a long time, but never met face-to-face. You can follow Kath on Twitter @KathEvans2 and Amy at @AmyFrounks. We only planned our presentation the week of the event and really we could’ve spoken for the entire day about all the different topics we touched on, but alas we had 30 mins to fit in as much as possible around transition and young adult experience. 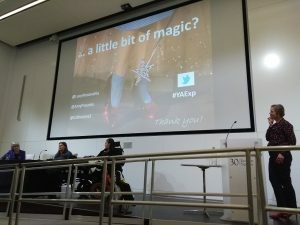 We had a nightmare journey up there and arrived late – we missed registration and I rolled into the conference hall and straight up onto the stage to speak! And Molly decided to get herself caught in the railings of the ramp too – just my luck. A few people had trouble with transport and getting there too, but I was the last arrival. However, our speech could not have gone better. We crammed a lot into our presentation, modelling it on the Wizard of Oz. Dorothy just wants to go home, but to get there she needs ideas of what to do, empathy from those she depends on for support, the courage to do what she needs to do and that little bit of magic at the end. We started off by introducing ourselves and briefly about our experience of transition. 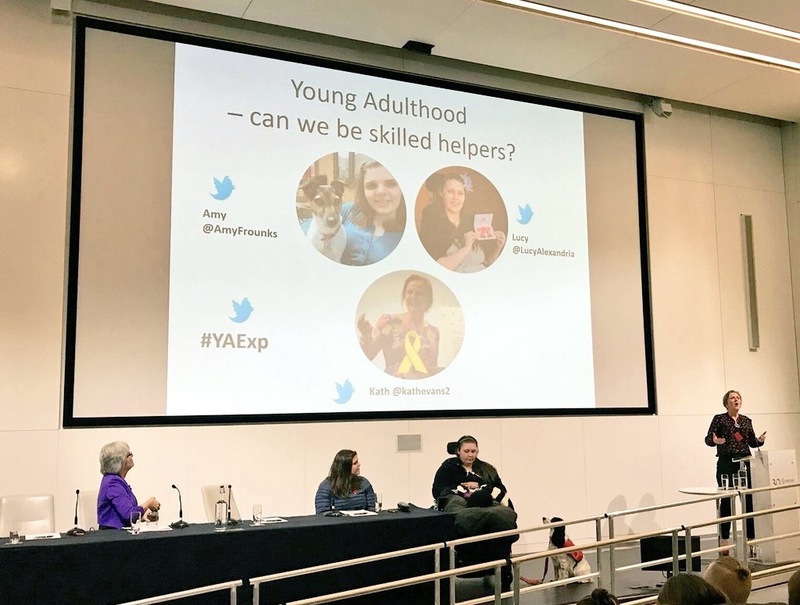 For “Ideas” Amy shared some of her work with the NHS England Youth Forum, Common Room and #CYPMeFirst and the ideas of how to improve transition and young adult care. 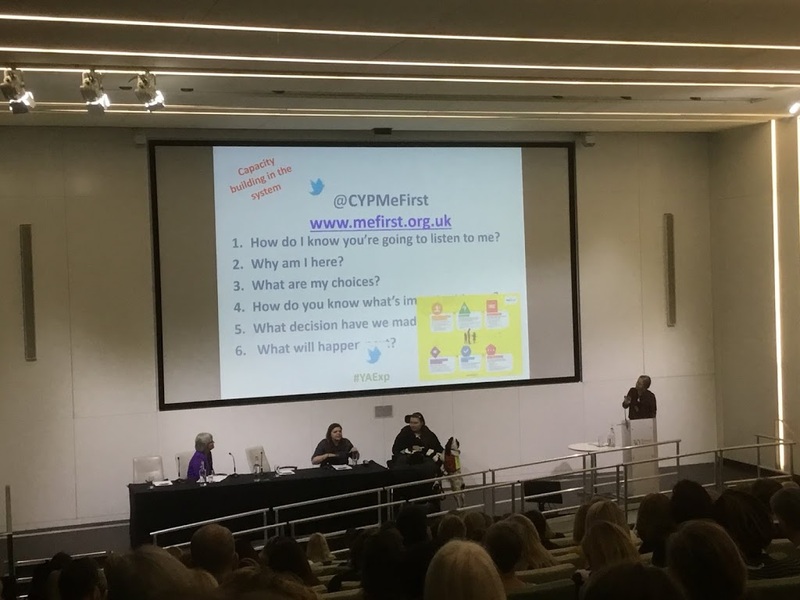 She touched on some of the resources such as the NHSYF work on young people’s rights in healthcare, touching on consent, the NHSYF “Killer Questions”, her work with Common Room in developing the #CYPMeFirst resources and workshops which is all around communication. I then shared “Empathy” about my transition which went wrong but then how my adult medical team get things right and why my care works so well, such as having the ability to email consultants, phone up and pop in to see the nurses and my consultants asking “What do you want from this appointment” and both of us sharing our desired outcomes, then coproducing and collaborating to work out how those outcomes can be achieved from both our perspectives. One key phrase that got picked up from my speech was about professionals asking young people “What matters to you?” rather than “What’s the matter with you?”. I touched on the fact that to young people like me, our illnesses play a big part in our lives in terms of how they affect us and their care but they’re actually not a a big part of our lives generally. We want quality of life and to be supported to do the things we want to do. 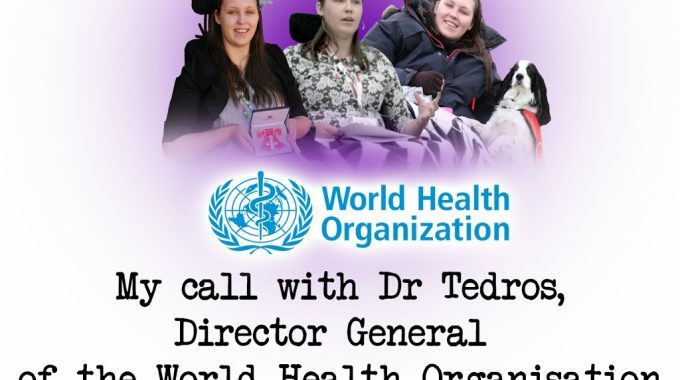 It’s up to healthcare professionals to take the time to ask us and get to know us as people. Then all three of us, Kath, Amy and I shared our bit on courage. Both Amy and I talked about how we are role models to other young people with disabilities and long-term conditions but also how our work has transformed our lives and how we’ve had the courage to speak up on behalf of ourselves and others. 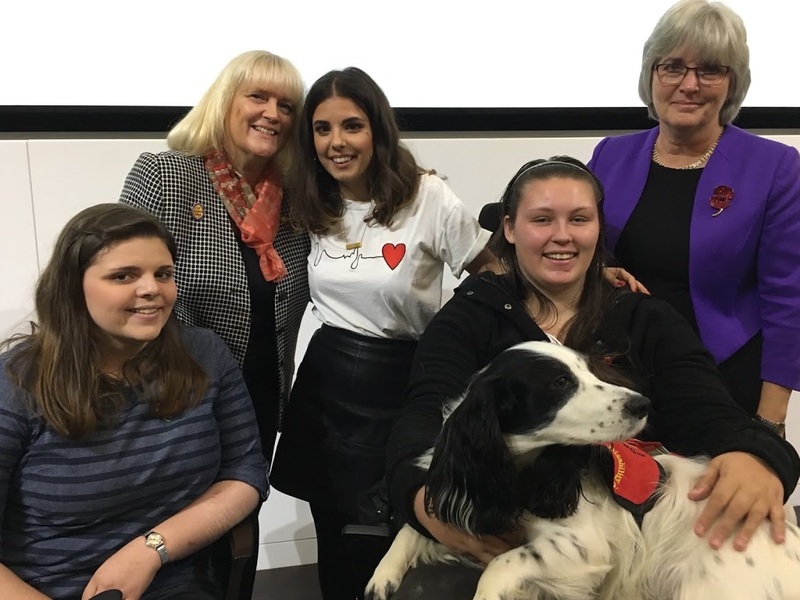 I touched on the fact that young disabled people take inspiration from our paralympians – but many of us with disabilities could or would never be able to become para-athletes, but young people seeing young people like Amy and I and others that do what we do, speaking up, being heard and making a difference, serves as an inspiration that there’s life beyond illness and your voice does matter. 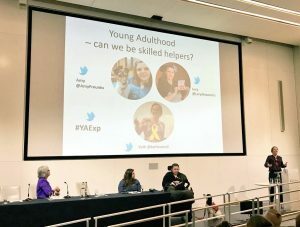 In “courage” we also touched on professionals having the courage to involve young people and top tips and how this can work and some work that serves to do that, Kath mentioning the Association for Young People’s Health and Fixers. She touched on the difficulties of young people who are the most vulnerable – learning disabilities, child sexual exploitation, looked-after/care leavers, young carers and those with complex needs. She said that young people didn’t like being called “hard to reach” – rather “seldom heard”. 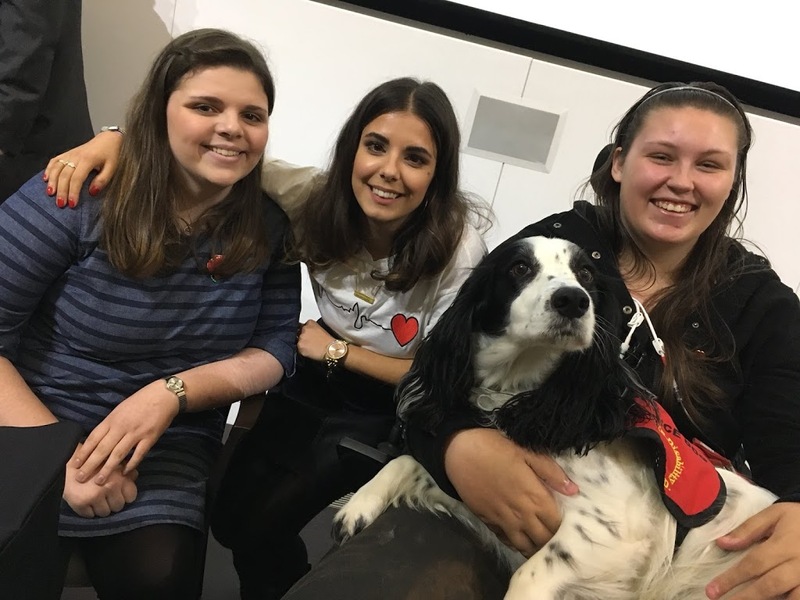 One saying “I’m not hard to reach, you could get on a bus and come to see me” which shows the important of the words we use, how we communicate things and our attitudes to young people such as these; the “seldom heard”. Then it was “a little bit of magic”. 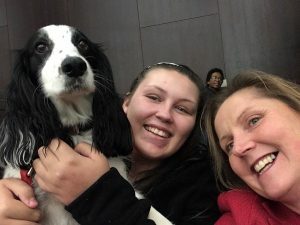 Amy and I both shared some things that would improve our transition and improve transition and young adult experience in general. Amy shared about communication and I shared about asking young people what they want and need, building the transition process about them – it’s not about policies and frameworks but making sure transition is personalised to the individual and their needs and that their transition will work for them – and never making assumptions. We then both touched on learning from transition, after young people have transitioned then asking them for some feedback about how they feel their transition went, what went well, what didn’t and how it could be improved, so that they can continuously improve their services over time on an ongoing basis by continuously getting feedback from every young person who transitions and utilising that feedback to improve care. Amy also touched on communication again and about communicating with young people after transition. It was a very successful presentation. 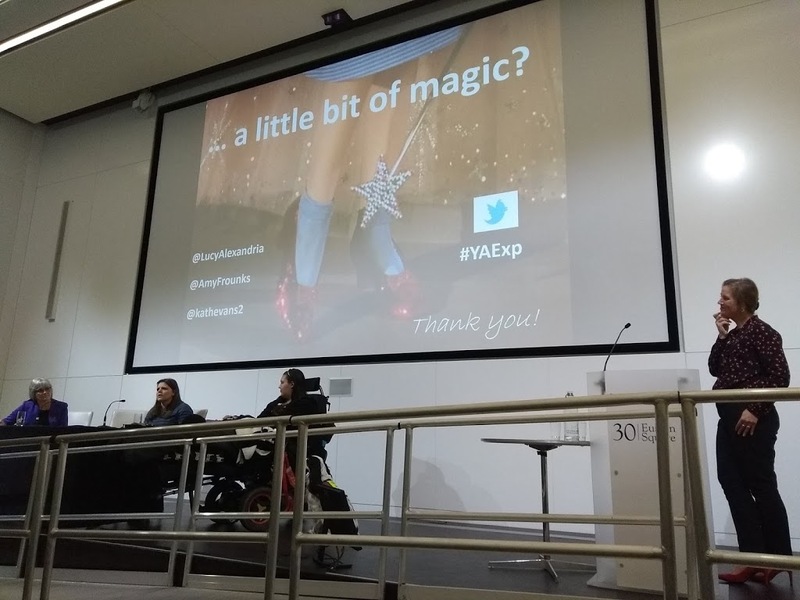 It was followed by a Q&A with some great questions, then an amazing speech by Hannah (of Hannah’s Heart Beat) on her experiences of transition and being a young adult in adult services. After Hannah’s speech and Q&A, we received a standing ovation for both of our respective presentations – and made the Chair cry. It was very successful. 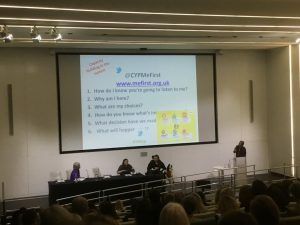 The rest of the day there were fantastic presentations, lots of networking, contacts made and getting the chance to chat to people properly – many of whom I know on social media but had never met in person. 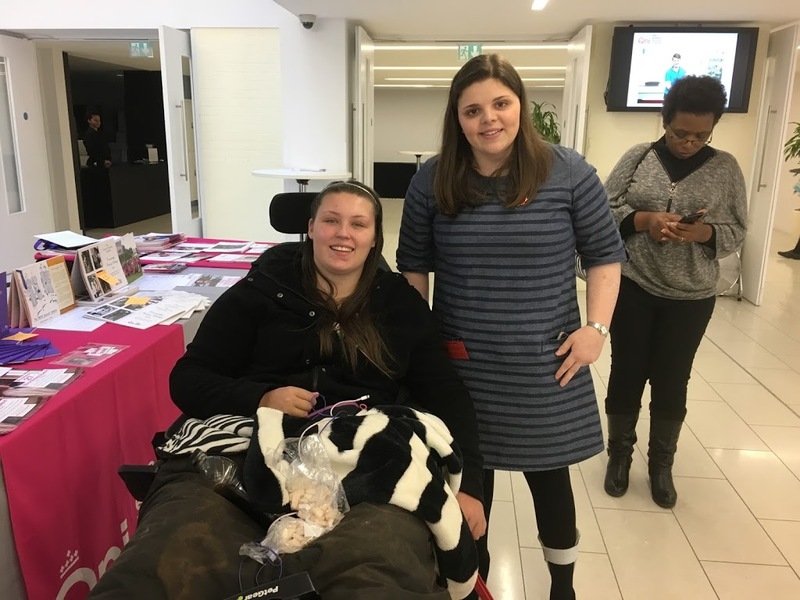 It was especially wonderful to chat to Amy and Hannah and of course Kath who has been such a fantastic supporter of our work and a great champion for young adult care and experience and youth involvement. It was a brilliant day, it truly was, I am so lucky to have been invited by Kath to present and thoroughly enjoyed the whole day. 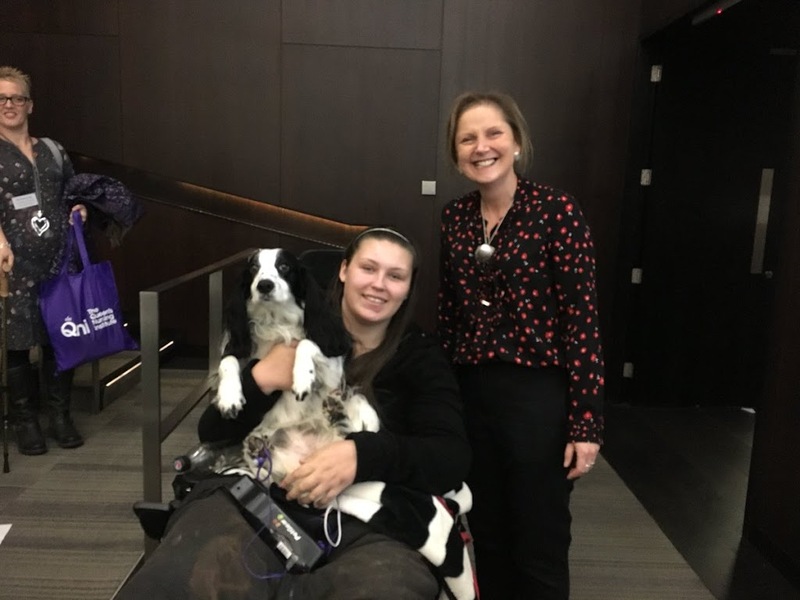 I also got to see Maddie Blackburn, who I work with at the Open University Sexuality Alliance there – but not enough time to catch up, I will be seeing her soon when she comes to visit. I can honestly say that is one of the best conferences I’ve been to. 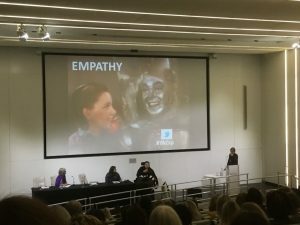 It was so well run, well planned, clearly thought out to make the best use of time and had secured fantastic speakers and all attendees were passionate and driven to want to make change, meaning the event had the maximum impact. It was evidenced by just how may people were still there at the end of the, despite over-running. Everyone was so engaged, interested and drawing everything they could from the event. 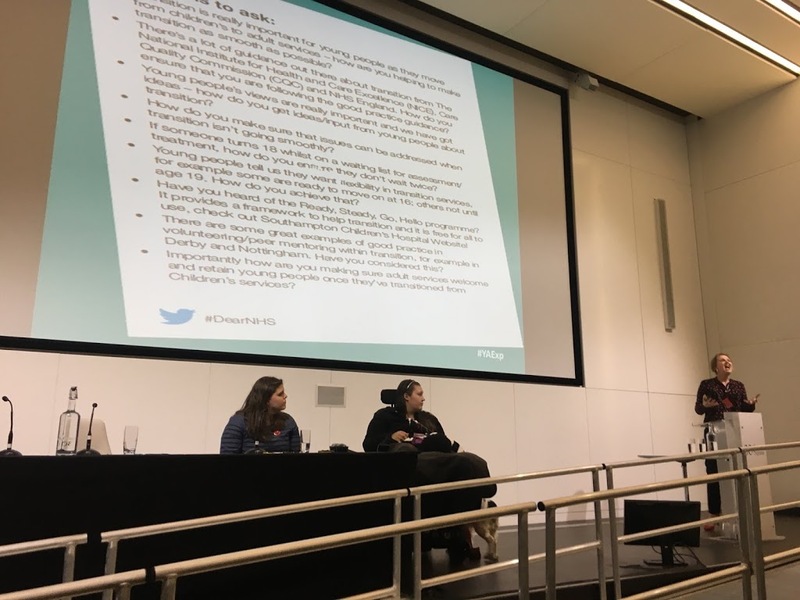 I know I can say that each and every individual at the conference today will have taken an abundance of ideas, the shared learning, the understanding of the young person’s perspective and absorbed the passion from others and will go away and act upon this in their work and their organisation. 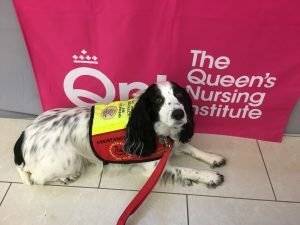 Thank you to the QNI, to Candice Pellett OBE, to Sandra Lawton OBE, Dr Crystal Oldman CBE and everyone involved for organising this fantastic event and thank you to Kath for inviting Amy and I to present with you. A standing ovation for our presentation and Hannah’s presentation (and Dr Crystal’s tears) shows how much the contribution of the young people to the event was appreciated. Molly was a little unsettled and full of herself today but had a great time greeting people and having strokes (once I’d given permission). She just rises to every occasion. She did let out one embarrassing “woof” – which happened at a perfect, very comical time – but nevertheless she wasn’t as settled as usual during the presentations, she would sleep through parts but then be trying to get my mum’s attention a lot of the time and that’s where the problem lay, she didn’t like that I was sitting away from mum and so kept trying to get mum’s attention. However as the afternoon went on she did go to sleep through the last few presentations. She is just amazing. She rises to the occasion and absolutely loves events like this. What would I do without Molly?! 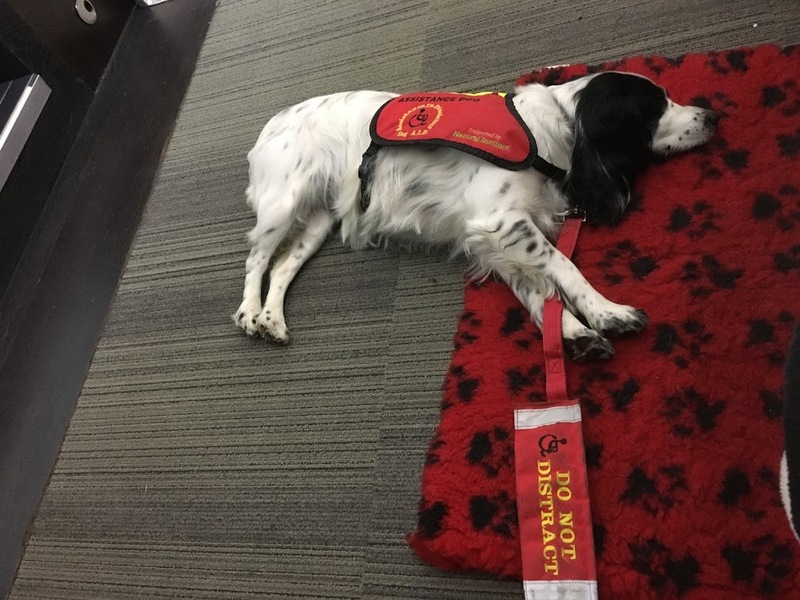 (#MollyDog as she’s know on Twitter or Molly, Dog With A Blog on her Facebook blog – click here to go through to her blog). A fantastic day was had! I am so fortunate to do what I do. I love my life. I love what I do. I love being the voice for others. And I am so lucky to have the opportunities I am given and the amazing support I receive from people like Kath. Thank you to everyone who has played their part in supporting me and getting me to where I am today. Thanks a lot for sharing your thought about the nursing transition and it's really helpful and knowledgeable. Do you've any interest to write more in near future about the nursing resume? visit the website to know more how to get quality writing services.